We woke up in a cloud. Everything was soaked – the tent, the fly, the surrounding bushes but not us! Not yet anyway. And despite our slanted camping spot we both slept well. 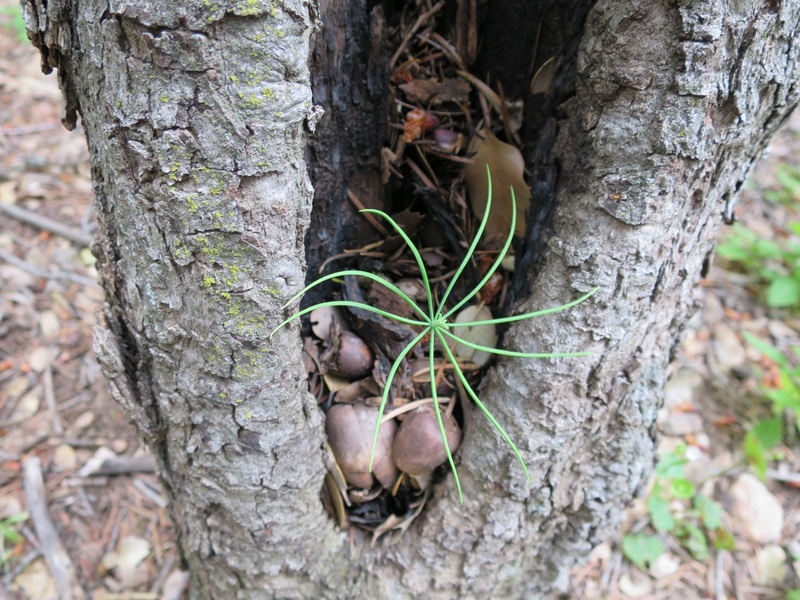 As we walked, the grasses on either side of the trail donated water to our pants, gaiters and shoes. Within 15 minutes our feet and lower legs were soaked, but we didn’t care. We knew that eventually the sun would come out and dry us off. The trail was a defined cut out in a green hill. Yucca stood tall over the green manzanita bushes acting like watchmen surveying the land. The trail widened on relatively flat ground. Easy walking, we’ll take it. We passed a number of nice camp spots around mile 471.3. Note for next time or for any readers that are behind us. Take em. Almost 2 miles from San Francisquito Road, a trail runner passed us going the opposite direction, followed by her daughter and 2 dogs 5 minutes later. As the runner passed us again on her way back she asked if we were thru hiking and offered us a ride. Easiest hitch ever-we weren’t even down to the road! Andy was hesitant to accept the ride because he was embarrassed about how he smelled. Only 24 hours in and we both smelled like we had been out here for a week. When we got down to the road, Sarah and Michelle were stretching and waiting for us. They reassured us we didn’t stink and we all climbed in to their 4Runner. They drove us to the Lower Shake Campground use trail and access point back to the PCT. We passed other hikers walking alongside the road and felt grateful for the ride. Thank you Sarah and Michelle for your generosity and enthusiasm. 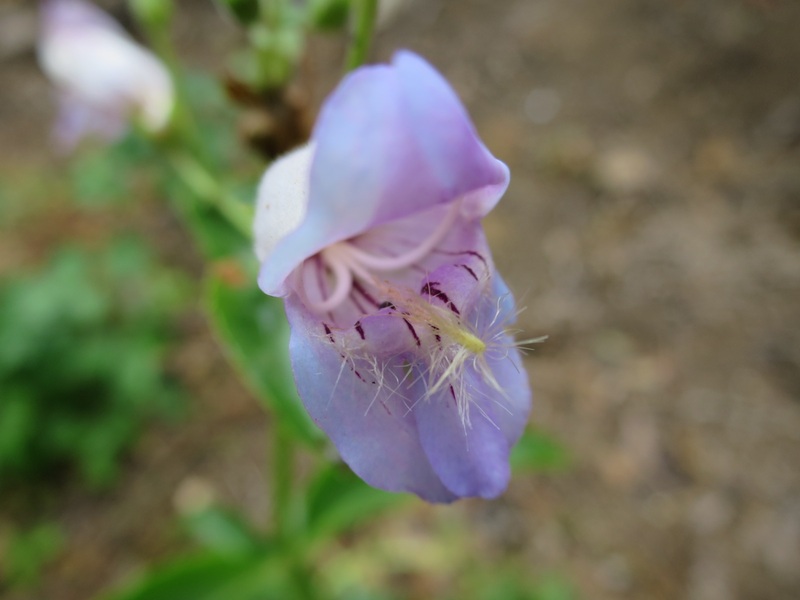 We walked past an abandoned bathroom and up the steep trail lined with poison oak to Upper Shake Campground. Both of these campgrounds no longer get much use because of the Powerhouse Fire of 2013. We stopped at a picnic table to dry out our tent. Little red bugs flung themselves onto everything. Initially we tried to brush them off but realized it was futile, they were everywhere. We took off our shoes and sat on the picnic table to eat lunch. A big gust of wind carried our tent 15 ft down a hill and Andy chased after it barefoot. We hung out for about an hour and then resumed walking uphill back to the PCT. 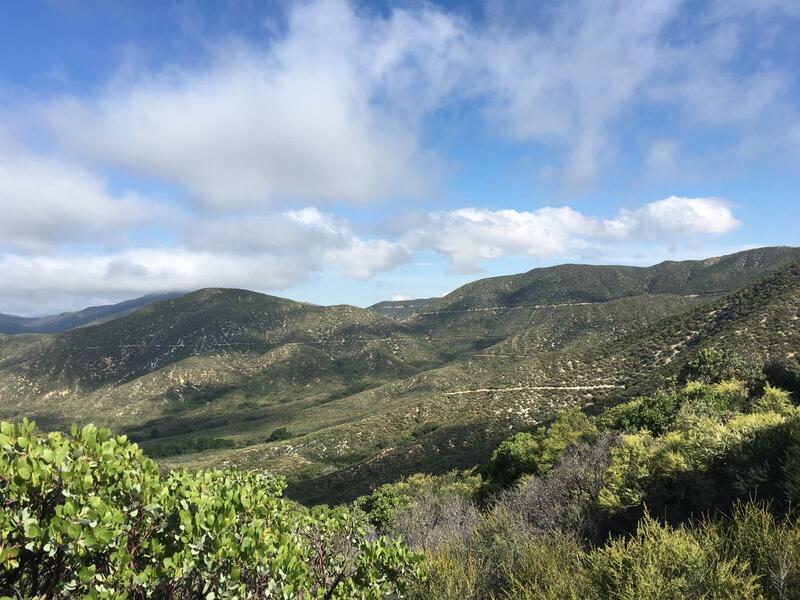 Between the 2 campgrounds we passed a family from Palmdale who were out for a Mother’s Day hike. 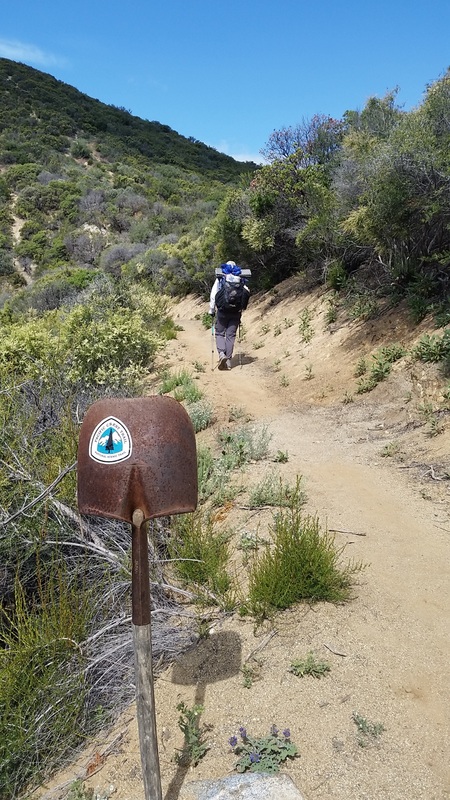 They made two wooden PCT signs and posted them to direct hikers back to the trail. Thank you so much y’all! The best part of our hike thus far has been the generosity of strangers. 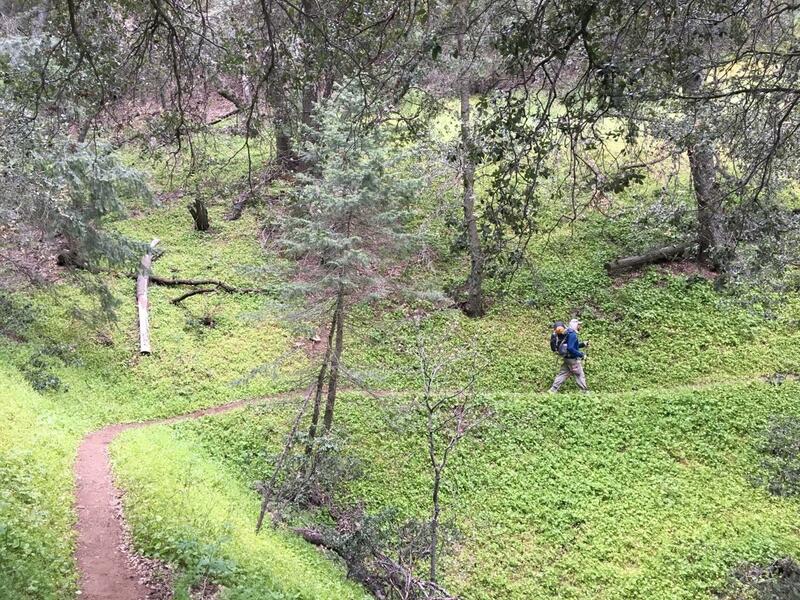 Once back on the PCT we walked through a green enchanted forest. 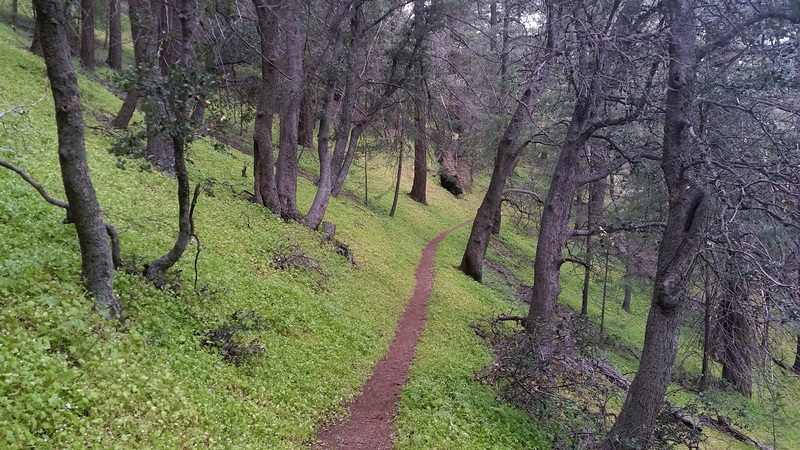 Miners lettuce lined the trail – sometimes green and sometimes orange and yellow. Tall grass thrived in the shade provided by oak trees. It was hard to believe we were still in the desert! The trail continued like this for a few miles then opened up. At that point small Manzanita trees lined the trail. 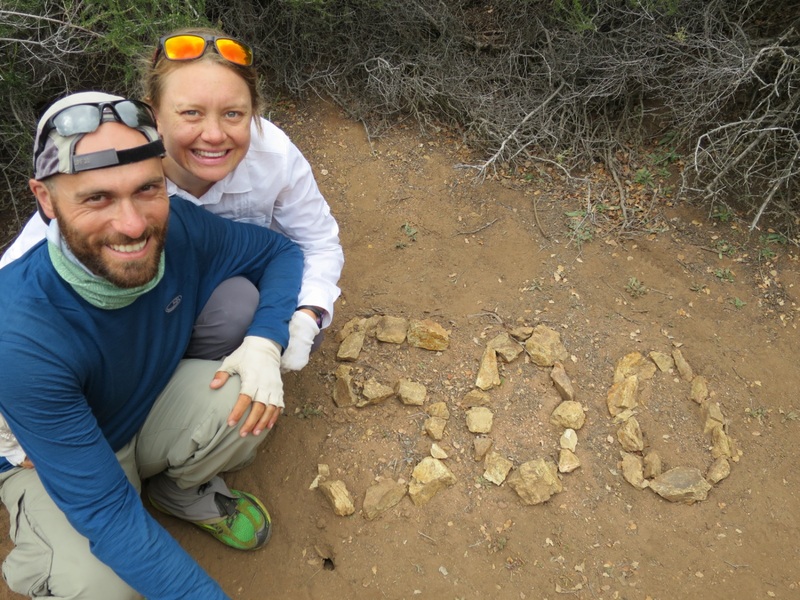 We hiked past the 500 mile marker and broke out in song and dance to The Proclaimers “I would walk 500 miles…” We wonder how many other people thought the same thing as they passed this milestone. We walked on another 2 miles to a water guzzler. 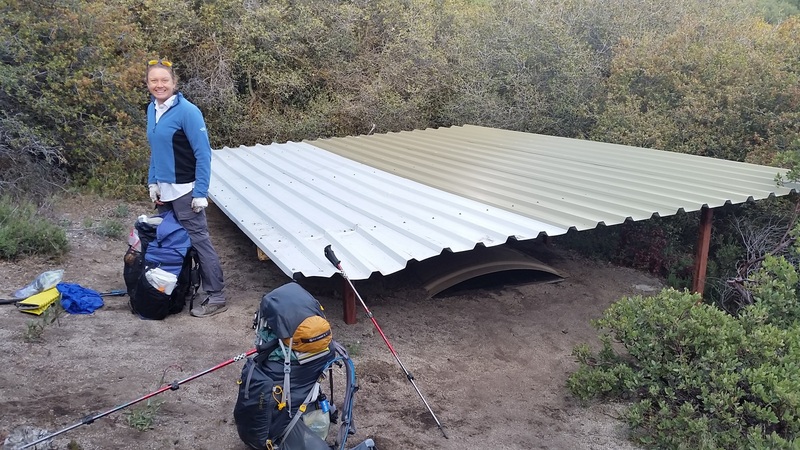 This is the first of this type of water source either of us have seen- it looks like a big piece of metal roof covering a fiberglass tub that collects and stores rain water. We scooped water out of the guzzler and poured it into our bottles using part of our cheese cloth to catch big particles of dirt and sticks. But before we got any water from here Andy checked for dead animals in the water. Thankfully the tank was free of such debris. We walked another mile to a campsite, ready for an early evening. Fog rolled in quickly, reminding us of San Francisco. It was downright chilly! We lay down our Tyvek groundsheet and within seconds it was covered by tiny flea like bugs. We were both grossed out and thinking they were coming from the nearby tree we decided to look for another spot down the trail. We walked on anticipating to find other potential spots. Half a mile down the trail we found a flat spot right off the trail. We were tired and it was getting cold. Laurie set up the pads while Andy heated water. We ate dinner, cleaned our toes and discovered that Andy’s huge blister by his 2nd toe was now bigger and bloodier that hours ago during lunch. Suprisingly, it never bothered him. We popped it and hope it remains as painless as it was today. The wind is howling around us but we are cozy once again in our sleeping bags. Good night. Tonight we are grateful for friendly locals and our stove. I hope your feet remain pain free. Your blisters made me cringe. That forest looks beautiful and peaceful!! But that blister does not! 😉 love you guys! Do you know about blister threading? It’s where you sterilize well a needle and thread and put it thru the blister, leaving a tail of thread on each side.. During the night this will continuously drain the blister and keep it from closing up. This will help the callous to form. My friends that hiked El Camino de Santiago told me about this. The thing to be careful of is to sterilize the needle and thread. Some use stove alcohol. 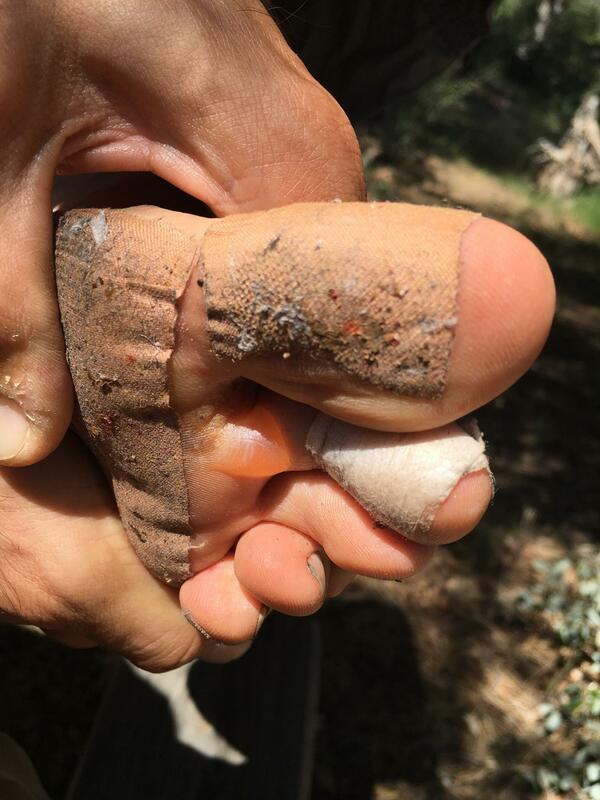 If you are hiking with a bloody blister, you have an open wound and that should be cared fo, I think. Your feet are valuable assets, indeed. Heal them up quickly, sir! We have heard of it. Thanks for sharing James. Sounds good Legend. Enjoy your zeros! My husband says there is still snow packed ahead and to not for him to push it. He sometimes takes a zero and then runs to catch up. Thanks for your support Judy. We are hoping your son is enjoying his hike!